Okay, so, before we begin, I should mention that this is just for fun. I took it very seriously and considered carefully all of my thoughts for the event, but in the end — it’s just for a few laughs. 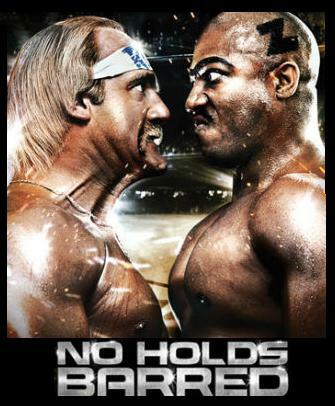 I would encourage everyone to watch the Pay Per View and have as much fun as possible. All of that being said, here are my seven predictions for the 2017 Royal Rumble! I almost feel bad for Gallows and Anderson. I once viewed the duo as possibly the next big thing in tag competition. That was when they first debuted in the WWE. Things changed in a hurry as they have largely struggled to find their groove. There have been very few bright spots along their otherwise totally lifeless characters. And not for lack of opportunity, either. How many times have they challenged for the Tag titles already? Truthfully, it’s just getting embarrassing. Of course, with all of that in mind, this could serve as a breakout moment for the Bullet Club to win the titles. But they won’t, as Cesaro and Sheamus will hold the championship at least until WrestleMania. The Cruiserweight division has been somewhat lackluster. While the Cruiserweight Classic was flat out spectacular, the division’s addition to Raw has felt largely like a sideshow. I sighted concerns about this before, but my fear has largely come true. 205 Live is the exception as it has been the only bright spot for the division and has served as a more proper extension for the talent. But even then, it still feels separated from the marquee matches. My prediction for the Cruiserweight Championship is that it won’t matter who wins. That being said, Neville winning the title from Rich Swann will go a longer way to getting the much-needed attention of the WWE Universe. Charlotte’s reign as champ will come to an end. Just not yet. Her feud with Bayley hasn’t been built-up for nearly long enough. The rivalry needs more time to really get cooking. This will also give Bayley a better shot at winning over the fans. Don’t get me wrong, Bayley is a ‘face’. But she’s not totally ‘over’ yet. This will serve as the perfect opportunity to establish her as the ultimate underdog. I imagine the oh-so-typical match wherein Bayley would win the match cleanly — but through some level of interference, Charlotte gets the cheating win. You can see it coming from a mile away, but the long game is for Bayley to have a WrestleMania moment. After the Royal Rumble, she will be denied a rematch and will then have to claw and scrape her way to WrestleMania. Only then will she become Women’s champion. Kevin Owens will retain the Universal Championship. With or without his bestie, Chris Jericho, Kevin Owens will seal the deal and solidify his place at the top. My reasoning for this is simply because Owens stands to get more ‘over’ than Roman Reigns. Reigns is an unstoppable force. Nothing can stand between him and the title. Which will bring all the heat to Owens when he does the unthinkable. He defeats Roman Reigns and maintains the Universal Champion. This is a crapshoot. My instinct is for Goldberg to be the final entrant and clear the ring down to the final three or four participants. The trouble is how many ‘Legend’ status superstars that are in contention this year. Brock Lesnar would also serve as a good final entrant. As would The Undertaker. Then you have the surprise entrants. Of course, surprise entrants don’t usually go on to win the event, but it adds to the complexity of predicting. 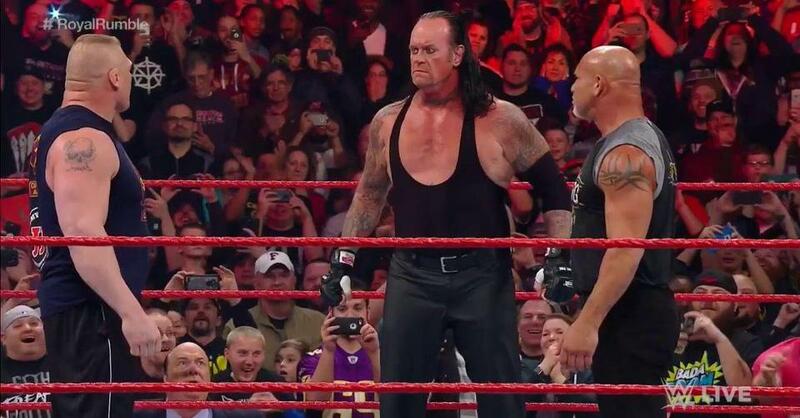 I believe The Undertaker will draw lucky number thirty and be the final entrant in the Royal Rumble match. His entrance will take the greatest amount of time and will draw the most enthusiasm from the crowd. When AJ Styles first debuted at last year’s Royal Rumble, his character felt misplaced. Why was the only superstar who had been consistently overlooked by the WWE just so happy to finally be here? The later ‘heel’ addition to his character not only felt right, but it’s just so much fun to watch. The ride has been fun. That being said, the ride is over. John Cena is back and his time is now. I know, I know. But it has to happen. 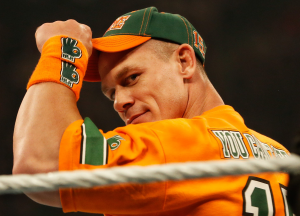 Cena’s last stint with the WWE was derailed with surgery and didn’t get any real payoff. And even with his part-time status in the company, there is no reason for him to be left on the shelf. Especially as we find ourselves on the road to WrestleMania. Of course, his reign as champ will be somewhat short-lived, as Cena is likely to go on hiatus from wrestling again in a few short months. I hope I’m wrong. If for no other reason than for just how amazing it would be to see AJ Styles headline WrestleMania. Unfortunately, I just don’t see it happening. I’ve been watching the last few years Royal Rumble matches in anticipation for this Sunday. And I’ve noticed a trend regarding the usual winner of the event. Spoiler alert, it’s going to be somebody who’s already in the main event conversation. My guess would be for team blue to win the Rumble, being as that there is more star power in John Cena or AJ Styles headlining WrestleMania. However, there are only a few big names at SmackDown to choose from. A dark horse to win the Rumble would definitely be The Miz. He has been putting together an all-star performance since the brand split and is more than capable of wrestling at the top of the card. That in mind, I sincerely doubt he’ll win. I would just like to see it happen. In the end, my pick to win the Royal Rumble is The Undertaker. Twisted, I know. But hear me out. Then, the following night on Raw, The Undertaker will announce that he isn’t interested in fighting for the Universal Championship. He wants a title opportunity for the WWE Championship of SmackDown Live, against John Cena at WrestleMania. If I get all of the above predictions wrong, I will happily keep my prognostication’s to myself from here on out and never be heard from again. If I get all of them correct, of which I am doubtful, I will change my Twitter handle to Nostradamus and will take to living in the hills somewhere. Thankfully, neither of which should happen. Well, I went four for seven on the night. 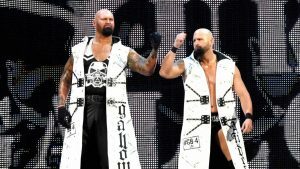 I was happy to be wrong on my prediction for the Raw Tag Team Championship and watch Gallows and Anderson receive a push. In regards to my final two predictions, the thirtieth entrant to the Royal Rumble has only won twice in the history of the event. The first occasion was when The Undertaker managed the feat in 2007. Not to say that it couldn’t have happened — but had I been aware of this, I wouldn’t have predicted it. Lastly, Randy Orton winning the Rumble makes more sense for the overall direction of the road to WrestleMania. There are a great many plot threads to explore with Randy and his Wyatt family ties and I look forward to watching all of those details unfold.